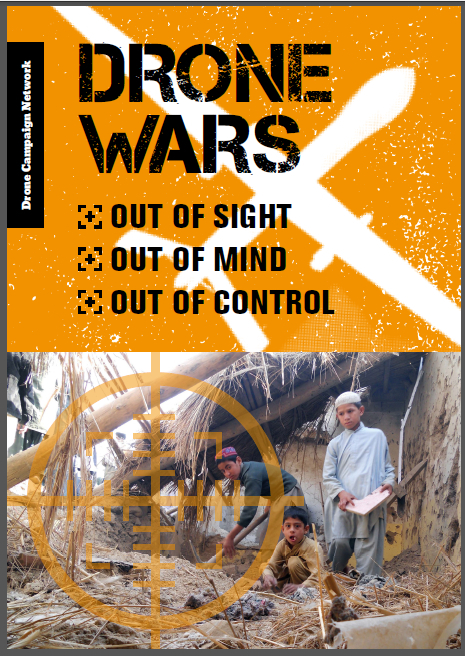 The Drone Campaign Network is organising the third annual Week of Action on drones to promote understanding and resistance to the growing use of drones and remote warfare. 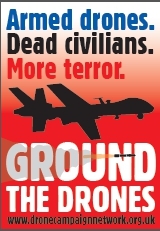 The Drones Week of Action is also part of the International Keep Space for Peace Week. This year, as billions of pounds are forecast to be spent on drone technology over the coming decade we are focusing on the economic and human cost of drone warfare. or perhaps a fundraising event to support the on-going campaign against the use of drones. Special Guest: Brian Terrell. During the week of action, Brian Terrell from the US will be with us as part of a European speaking tour. Brian is a Catholic Worker peace activists from Iowa. He has travelled to Iraq and Afghanistan and he was deported from Bahrain in 2012 after witnessing the violent repression of human rights activists. In recent years, he has been active in resistance to remote controlled drones and on May 24 of this year he was released from a six month prison sentence for participating in a peaceable assembly in protest of drones at Whiteman Air Force Base in Missouri. If you would like to book Brian as a speaker please contact chris@dronewars.net. Click here or on the “Week of Action” tab above for up to date details of local events. Click here for details of the resources available for the week of action. A resource pack is now available! http://www.facebook.com/photo.php?fbid=299890010150759&set=a.277036192436141.1073741828.277023602437400&type=1&theater&notif_t=like Here is a link to the poster for the Drones week of Action event happening on Sunday October 6th in The Small World Theatre in Cardigan, West Wales, profits will go to Medical Aid For Palestinians (MAP).